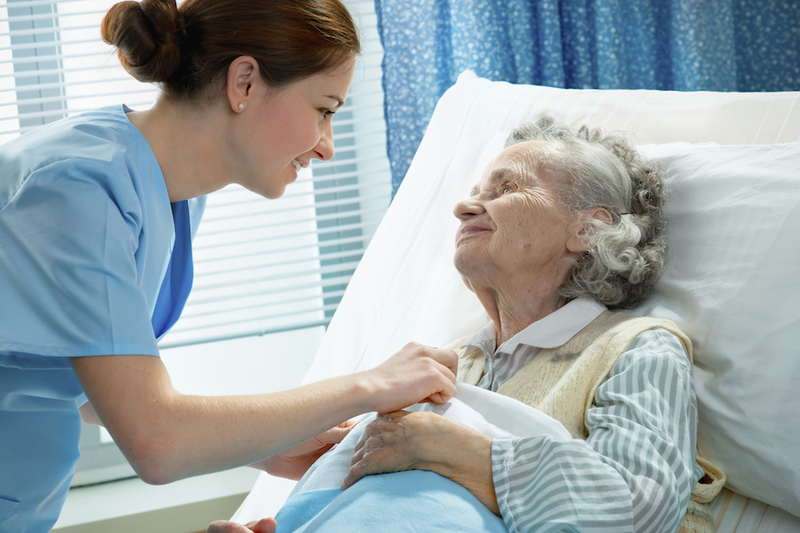 CMS Compliance Group’s interdisciplinary team of consultants helps nursing homes achieve and maintain compliance. Our compliance consultants have extensive experience working with nursing facility owners and operators to ensure that their facilities are providing the highest quality of care and services. Are you preparing for a recertification survey? CMS Compliance Group consultants assess your nursing home’s survey readiness by completing the same tasks performed by an actual survey team during the new LTC survey process – a “hybrid” of the traditional and Quality Indicator surveys. We complete policy reviews, interview residents, conduct resident observations, assess the dining experience, and review medical records to identify potential trouble areas that need to be addressed for compliance. When the survey team walks through your door, CMSCG staff can be on site to assist you during survey, providing problem-solving assistance to management. Once your survey concludes, the surveyors may have identified findings that need to be addressed to be in compliance with regulations. 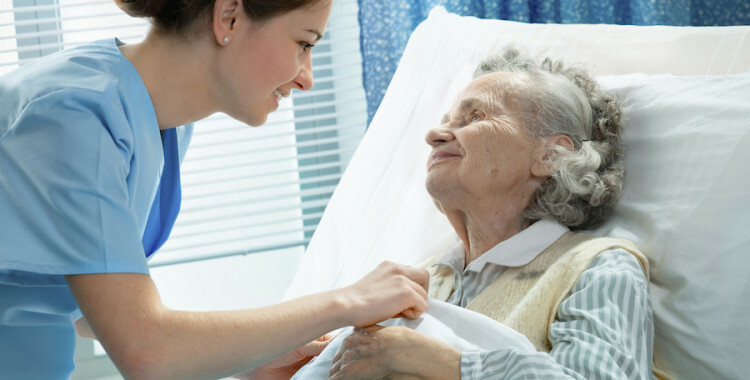 CMSCG consultants work with your nursing home staff to develop and implement your Plan of Correction, leveraging our strong understanding of the required components for acceptance and best practices for implementation within required time frames. Our goal is to help you develop corrective action plans that are attainable and achievable. Should you require the assistance of a compliance consultant for a Directed Plan of Correction or Directed InService, CMS Compliance Group will provide these services. Our consultants can act as the co-chair of your QA Committee to conduct your Directed Plan, ensuring that all required components are addressed and that the Plan is implemented. We also assist with addressing deficiencies that require Directed InService by developing the schedule, lesson plans and providing staff education for your SNF. Our Directed InServices cover the specific regulations and include your facility-specific policies & procedures. CMSCG’s experienced compliance consultants work with your facility to expediently develop the immediate plan to remove an Immediate Jeopardy situation. We provide daily monitoring to assist with overseeing implementation of the immediate plan and can provide InService education or assist with developing your response to the regulatory agency, as well as provide assistance with revising pertinent policies and procedures. CMS Compliance Group’s clinical consultants help your nursing home develop or strengthen existing clinical programs, develop protocols and help establish policies and procedures for all clinical areas within the facility to ensure the highest quality of care and services are being provided. Poor care puts your facility at risk for citations, civil monetary penalties, and can even result in legal action against you. Our clinical consulting services include medical record reviews which identify gaps and areas for improvement while ensuring that care plans are individualized and comprehensive to meet the needs of each resident. CMS Compliance Group’s dietary consultants can assess the appropriateness of your Nutritional Services Department’s clinical assessments of residents, policies and procedures for Nutrition, and conduct Kitchen Sanitation inspections. We can assist you with developing policies and procedures and create an integrated clinical plan to address the nutritional needs of your nursing home’s weight management program, as well as assist in streamlining meal delivery. If you are in need of enhancing your residents’ dining experience, our consultants will assess your facility’s current practices related to a homelike dining experience. They will provide recommendations for enhancement to your meal delivery system and assist with implementing any changes to imprve the quality of the dining experience. Your Social Services Department is more in the regulatory spotlight every day, with an enhanced focus on compliance in areas such as abuse prevention, discharge planning and Advance Directives as well as a focus on all issues that impact the Quality of Life of each resident. Our knowledgeable Social Services consultants can develop and implement policies and procedures for your nursing home, conduct program reviews and assist with Activities/Recreation issues. CMS Compliance Group’s Life Safety and Maintenance Engineering and Fire Safety consultants understand the intricacies of nursing home Facilities Management and ensuring that your building is compliant with all regulations. Our team performs a comprehensive review of the physical plant and a thorough review of logs/records and fire drill data, providing recommendations to ensure your facility would pass a Life Safety inspection. Our consultants are also available to assist with conducting fire drills. Whether you are a single nursing home or part of a corporate group, CMSCG can help you with your disaster plan. Our experienced consultants will help develop and implement your disaster plan manual, conduct tabletop exercises, coordinate with regulatory bodies, and ensure your staff is ready in the event of an emergency of any type. We will review your documentation and can conduct an environmental program review as needed. Even the most experienced nursing home management teams can benefit from CMS Compliance Group’s consultants’ knowledge of nursing home operations requirements. Our services will assist you with improving operations at your facility and maintaining and achieving compliance. If you are opening a nursing home or have made the decision to cease operations of your nursing home, our consultants can provide you with expert advice based on our hands-on experience in these areas. Opening a nursing home requires significant pre-opening activities, and our consultants will assist the operator with ensuring the building meets pre-opening health department survey standards. We can develop your policies and procedures manual, create department-specific documentation forms (including for EMRs), develop an incremental staffing timeline and provide training. Our consultants will be on-site for the initial opening of your nursing home and we will provide systems monitoring until the systems are working properly to achieve success. In the event that you are terminating operations, CMSCG works with your facility’s management team to systematically shut down the nursing home without any negative outcomes to the resident population. We work with nursing home residents who continue to need care and/or their families to move them to an alternate facility or another level of care. As necessary, we can meet with the ombudsman and reorganize staff through the closure. Special Focus Facilities (SFF) are subject to more surveys than other facilities. CMS Compliance Group offers nursing facilities that have been designated as SFFs assistance with major issues, systems assessments, retraining of staff, and monitoring for compliance. We work with you until improvement is shown or you are removed from the Special Focus Facilities list. Whether you need assistance with your QAPI Program or a department-specific consultation, our interdisciplinary team can help ensure you achieve and maintain compliance. Our Environmental consultants can work with your corporation or your single nursing home to develop and implement a disaster plan. Should you require assistance with HIT/EMR, our knowledgeable consultants can assist you as well. CMSCG consultants can conduct a medical record review for litigation purposes by reviewing relevant medical records and providing comprehensive summary reports of clinical findings. CMS Compliance Group can also assist in legal proceedings by acting as an expert witness in healthcare-related proceedings including post-acute care, long term care and assisted living. At CMS Compliance Group, our focus is on ensuring that our nursing home clients can provide the highest quality of care while achieving and maintaining compliance with State and Federal regulations. Our interdisciplinary team of compliance consultants will help you improve your Quality Measures, conduct staffing analyses and compliance reviews, and will help you develop and implement your QAPI plan. The continuous changes and additions to the CMS Five Star Quality Rating system mean that providers are being measured on more and more data points. CMS Compliance Group’s Quality Measures Assessment & Improvement (QMAI)TM service helps Management identify issues that affect their Quality Measure data and require improvement. We can provide staff education and training to assist with understanding the specific components that affect each Quality Measure. CMSCG’s consultants work with your facility to help improve systems, including monitoring systems, to attain favorable outcomes data for all short-stay and long-stay QMS, including those that are used for your Five Star Rating. CMS Compliance Group proactively helps your facility develop a means of improving its quality of care by creating a QAPI plan that encompasses ongoing quality assurance and performance improvement efforts. One of the premises behind a successful QAPI implementation is a focus on systems and processes, two areas where CMSCG works with clients on a regular basis to help them improve performance. To develop the QAPI plan for your skilled nursing facility, we will work with representatives from each department to formalize a written plan that integrates process improvement tools, identifies gaps in systems and processes, and allows the facility to develop and implement an improvement or corrective plan that can be consistently monitored for results. We also work with your team to establish the guidelines for conducting interdisciplinary Performance Improvement Projects (PIPs), an integral part of QAPI that focuses on a particular problem area for the facility that needs attention for improvement. CMS Compliance Group helps your nursing home assess its existing programs and identify areas or systems that could be improved or would benefit from compliance monitoring. We can work with your staff to develop audit tools and act as the Chair at QA meetings, leveraging our extensive QA/QI experience. We also provide assistance with monitoring newly implemented QAPI programs to ensure they are working as developed. CMS Compliance Group’s comprehensive team helps ensure your nursing home education needs are met so that staff members from all departments are knowledgeable regarding policies & procedures and assigned responsibilities. Whether your Director of Nursing needs mentoring, your IDT team could use a refresher on the comprehensive care planning process, or your staff could benefit from focused education on dementia/behavior management, CMSCG has got you covered. CMS Compliance Group’s interdisciplinary team is available for mock surveys that cover all departments, but sometimes clients identify some areas of potential concern ahead of survey. Engage CMSCG for a focused mock survey to help your team prepare for survey and address systems issues that may arise in key facility-identified areas.